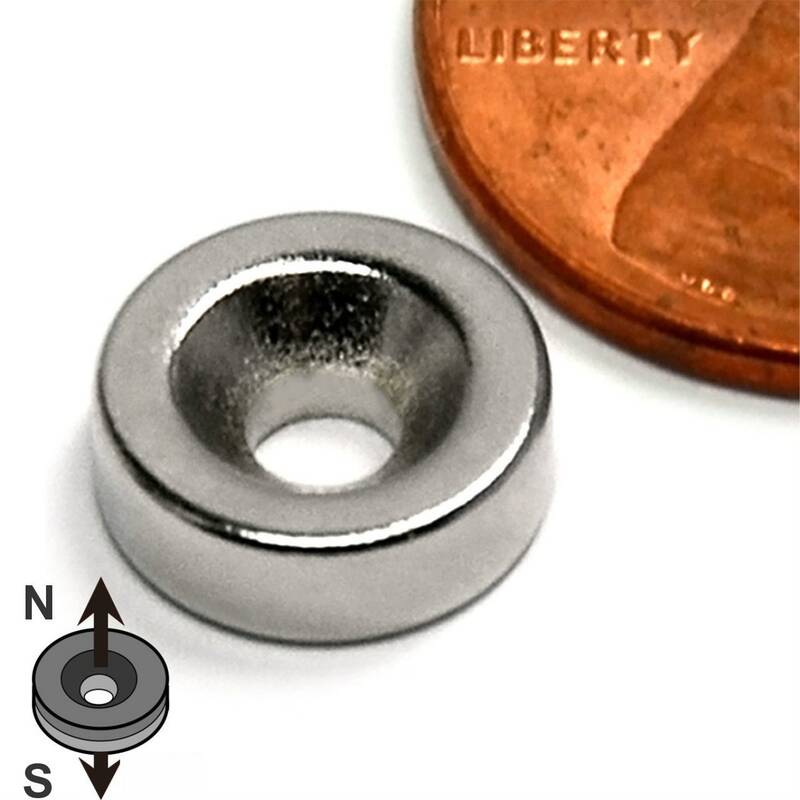 Strong countersunk ring magnets sized specifically for flat-head screws. The North Pole is on the side of the magnet with the large hole , where the head of the screw would be, (See other listing for South Pole). more brittle it becomes, so be careful.